Come out to the west side of town, just a mile or so from Hillsboro Village and Vanderbilt’s campus this Wednesday night for a lineup of folk and Americana acts perfect for an August evening in Tennessee. Classically trained, Andrew Leahey began his career singing in the Juilliard Chorale in NYC performing at venues like Carnegie Hall and Lincoln Center. Dissatisfied with classical music, Leahey headed to Michigan where he began to focus on songwriting. 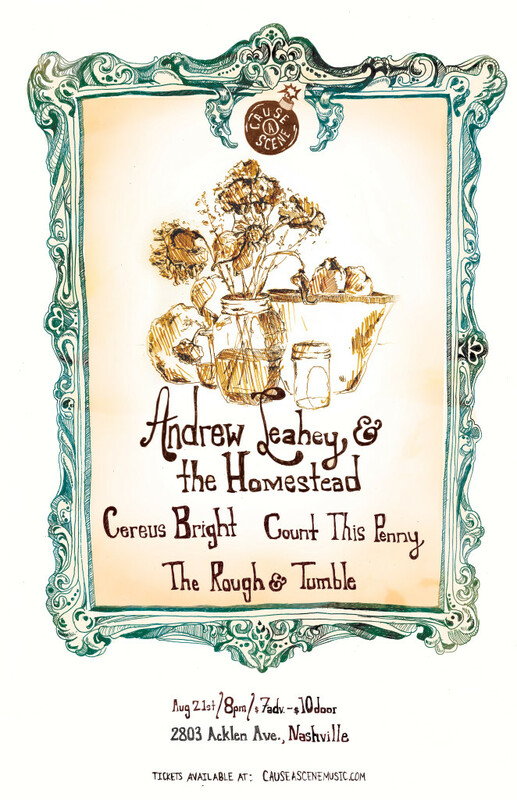 Now a resident of Nashville where he formed Andrew Leahey & the Homestead, Leahey has cultivated a sound that blends rock n’ roll, Americana and alt-country, creating a rich and authentic sound that echoes an authenticity that is rarely heard. 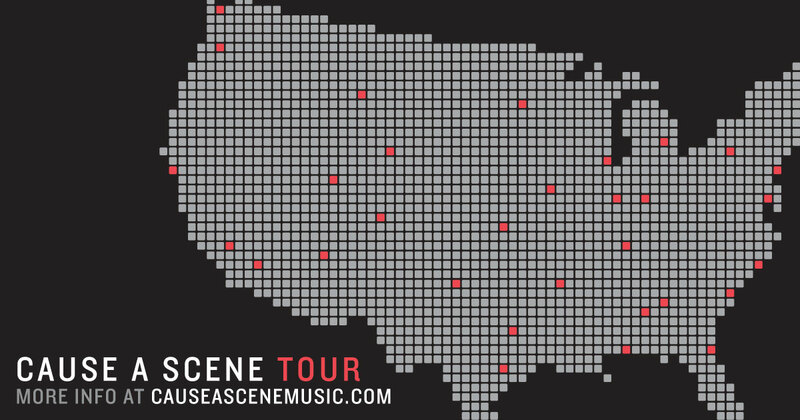 It was while on tour between Nashville and Leahey’s native hometown of Richmond, VA that he found the inspiration for the band’s latest EP, Summer Sleeves, which released this past April. Mixed by David Barbe, who has produced albums for the likes of the Drive-By Truckers and Son Volt, Summer Sleeves is a stunning showcase of the talent that Andrew Leahey & the Homestead have to offer. Also on the bill for the evening are folk musicians Tyler Anthony and Evan Ford. This Knoxville based duo, known as Cereus Bright, strives to make music that is rooted in simple melodies and anchored by their passionate harmonies and lyricism, and it is safe to say that they hit the mark. Having released their debut EP, Goldmine, only last November, the duo has spent the months since touring the greater Southeast with the sole goal to spread their music to all who care to listen. They will be doing just that this Wednesday as they make their second Cause A Scene appearance, and we at CAS can’t wait to welcome them back, and this time around they will be bringing their full band along with them. 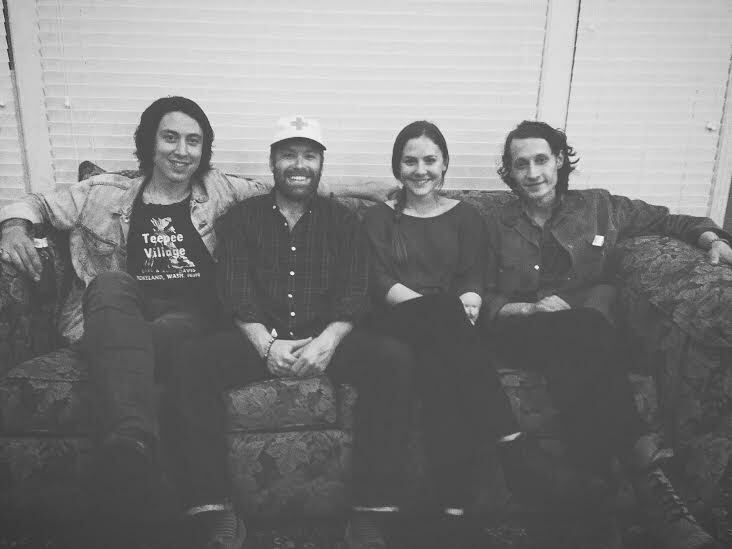 Indie folk band Count This Penny will also be filling the Nashville air with their acoustic melodies this Wednesday. Located out of Madison, WI, Count This Penny has garnered a lot of buzz in only a few short years, having their national radio debut on Garrison Keillor’s A Prairie Home Companion. The trio also recorded and released both a full-length album and EP in 2012, the latter of which, titled From Paper to Iron, took the #6 spot on the iTunes singer-songwriter chart. Local folk duo The Rough & Tumble, will complete the lineup and are sure to complement an evening of spectacular performances. The festivities will begin at 2803 Acklen Avenue at 8:00PM. Get your tickets here for $7 in advance. Tickets will be $10 at the door. Clear your schedule this Saturday night for a lineup of unique and talented musicians. Jessica Frech is a folk pop artist and Nashville native who has been expertly using social media and internet mediums to spread her talents to a vast audience. Garnering viral buzz with the YouTube sensation “People of Walmart,” Frech has used social media platforms and her fan base thereof to launch a Kickstarter campaign to help bring the dream of her full length project Reality, to fruition. Following suit in using modern mediums to expose one’s personal gifts is Michael Castro. Featured on season 8 of American Idol and brother of American Idol season 7 finalist, Jason Castro, Michael is a singer-songwriter and Nashville transplant from Dallas, TX, who is taking his talents beyond the television audience to the music gridiron, Music City. Castro has released 3 independent records and continually releases one original single each month via iTunes. Also featured on the evening’s bill are two more Nashville transplants, the first of which is a Cause A Scene veteran, Rebecca Roubion. This indie-pop artist is making major headway, carving a name for herself in the Nashville music scene with a soulful, folk-infused sound. Roubion has recently released two EPs that complement each other as a sort of companion project, the first of which, Fields, released last fall and the second, Forests, this past spring. New York state native, Mark Vikingstad, will also be gifting us with his talents this Saturday. 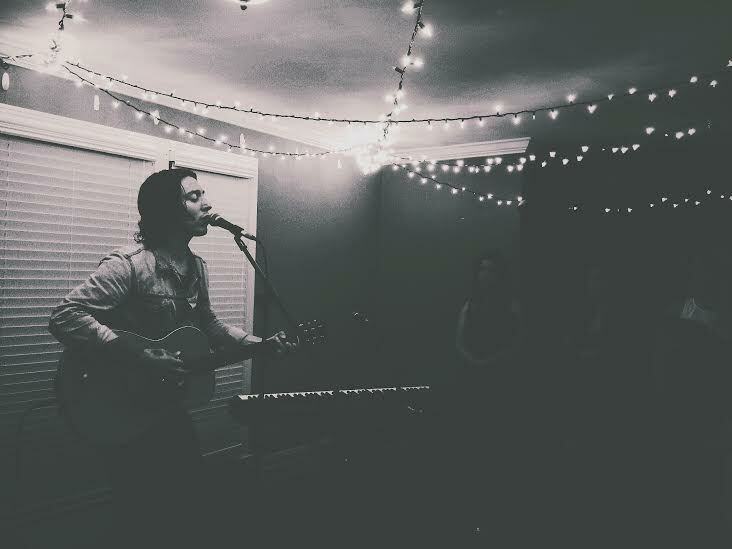 This singer-songwriter, having learned the guitar from a young age and having spent the last decade honing his songwriting skills, possesses a sound that is defined by feel good lyricism and upbeat acoustic melodies. Accompanied by a captivating live presence, Vikingstad is surely making his name known across Music City. This spectacular night of talent will be going down at 1803 Blair Blvd. The doors open at 8:00PM and the music starts at 9:00PM. Get your tickets here for $7. Can’t make the show, but don’t want to miss out on this amazing lineup? Don’t worry, we’ve got you covered! 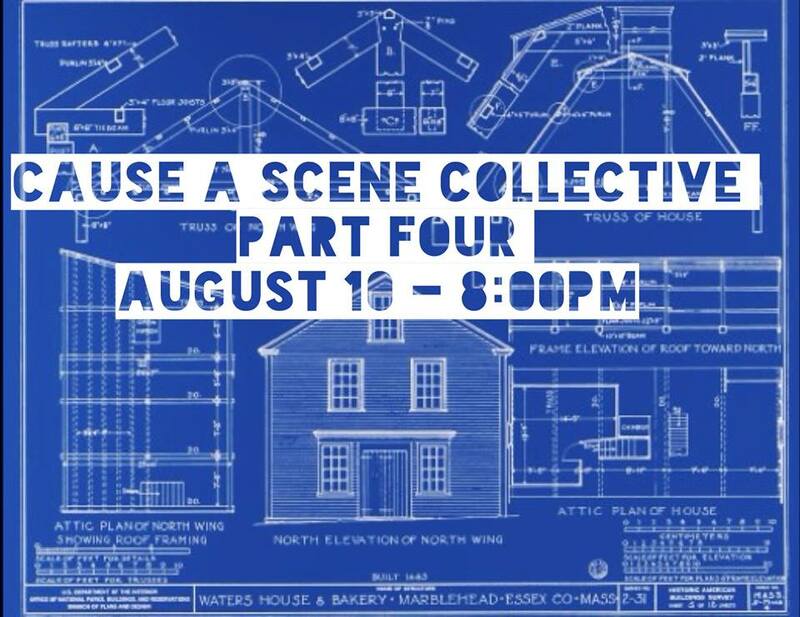 Get your tickets here to view this Cause A Scene show livestreamed via U Stream, for only $5. If you have been looking for a way to see the up and coming talent this fair city has to offer, this Saturday night is one that you do not want to miss. This being the fourth installment of our collective series, we will be showcasing 12 talented local acts, that currently on the rise in the Nashville music community. 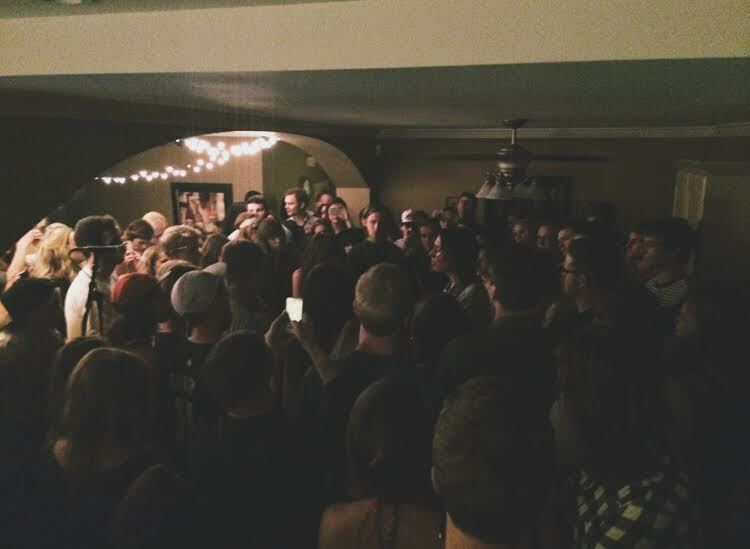 Past collective series have featured artists who have gone on to play future CAS shows and build notable reputations among the local music scene and beyond. Such artists include: Robert Kelly, Shannon Labrie, Rebecca Roubion, Erin Rae, Reed Pittnam, Parke Avery and Jessie Parker. 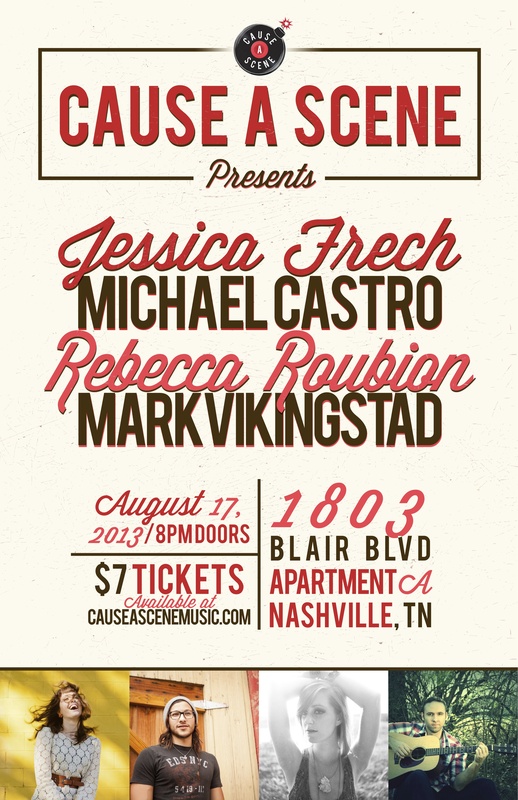 The evening will be the perfect opportunity to discover the next buzzworthy Nashville artist or band. The festivities will be taking place at 5008 Longstreet Drive at 8:00PM. Doors open at 7:00PM. Tickets will be $10 at the door and we expect to have a full house, so secure your spot and get your tickets here for $6 in advance. See below for a complete list of the evening’s performers.